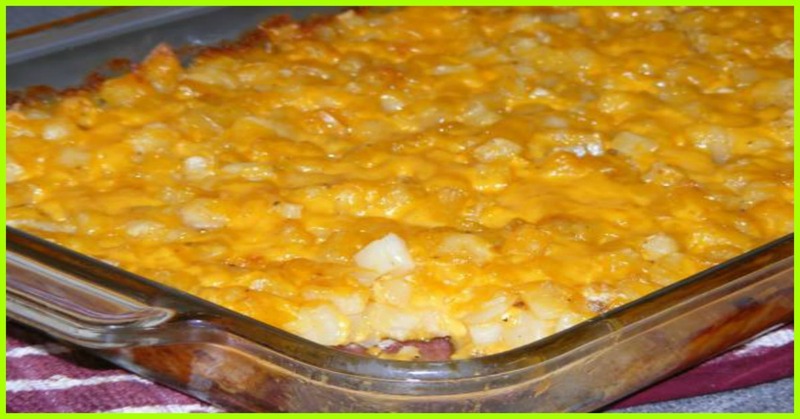 This cheesy casserole is a great accompaniment for almost any meal! In a 13 x 9 baking pan coated with cooking spray, combine the hashbrowns, onion, cream of chicken soup, cheddar cheese soup and sour cream. Spread evenly, then top with shredded cheddar. Bake, uncovered until bubbly and lightly browned on top, about 45 minutes to one hour.